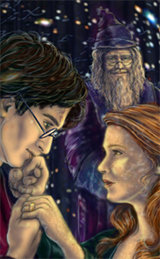 Summary: Harry tries to entertain Hope to let Ginny sleep in their Hogsmeade home. Summary: A box arrives in the mail. Too tempting! 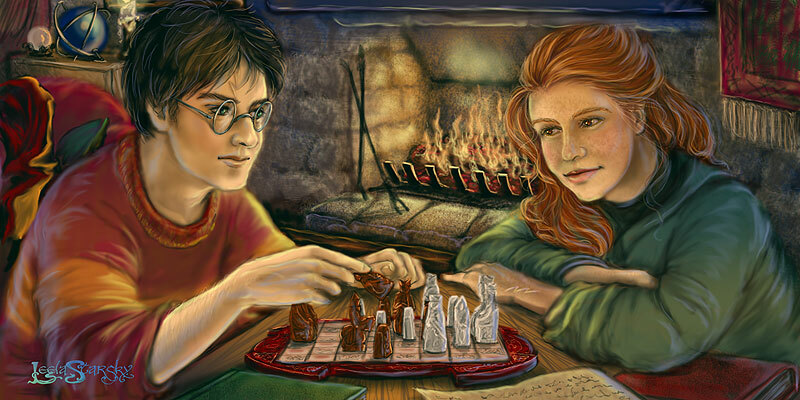 Summary: Ginny looks on in amusement as Harry tries to entertain baby Hope. Summary: Hope's reaction to Harry's singing! Summary: Hope and Matthew on their way to the Ministry Christmas party in 'A Pensieve Affair'. Just good friends, of course! Summary: The front of the A&O dustjacket! Includes Hope's birth chart. Summary: The wedding from 'Alpha and Omega' - a lovely Christmas present from Robert and LeelaStarsky!